How to Play a Trumpet Properly? 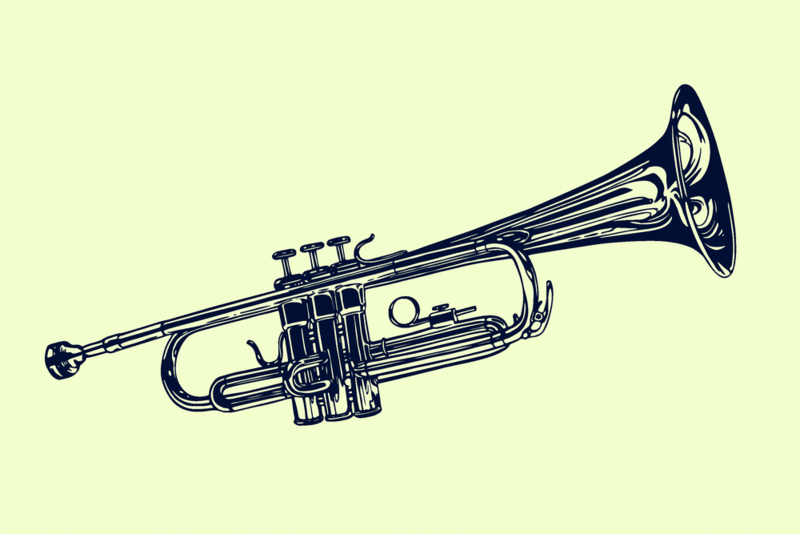 According to many people, especially trumpeters, the trumpet is considered to be one of the most difficult instruments to study and use properly. Many legendary trumpeters such as Miles Davis, Maynard Ferguson, Dizzy Gillespie were not naturally born understanding how to play a trumpet. If you find this sort of instrument interesting, let’s start to practice right now! You will have a chance to show off your talent to your close friends, participate in a band, or just to relax. You will soon get into the habit of practicing the trumpet and make playing it a hobby or even a gift lasting forever. Below are some useful tips that I have researched that will definitely enable you to study how to play a trumpet properly. 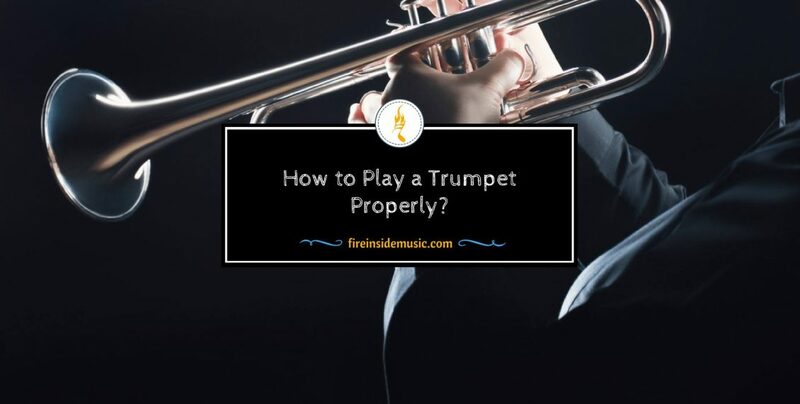 Practice these tips and you will surely achieve surprising advantages in your skills of playing the trumpet as well as have more fun. How to Play a Trumpet Like a Pro? How to Take The Trumpet Properly? The very first and important step before study how to play a trumpet is that you need to have a trumpet. 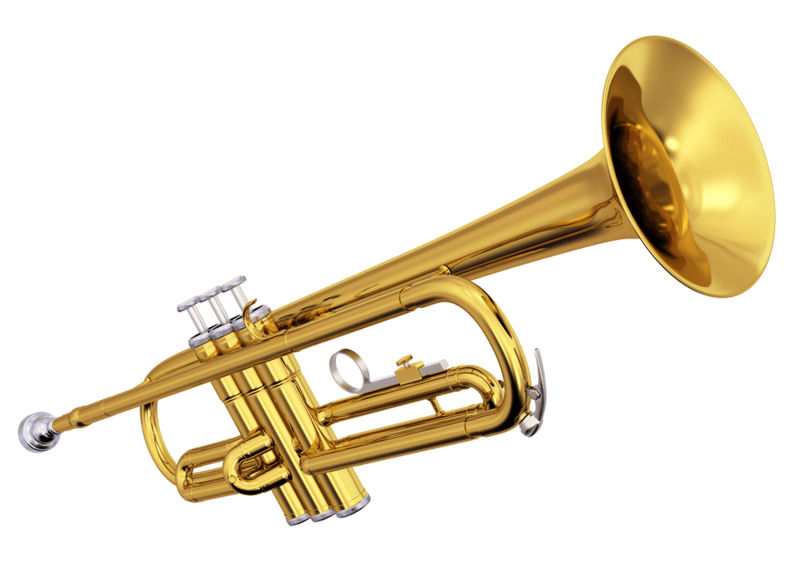 You can head to a music shop in your town, then ask the salesclerk for a student trumpet to purchase or rent. Make sure that the trumpet you buy or rent is in the key of B flat. You might take a different kind of key, however, B flat is considered as the easiest kind to play in the long term. It might be an unmarked brand. No worry because most instruments have origin from an unlabeled brand. For the beginners, it is good to start with. 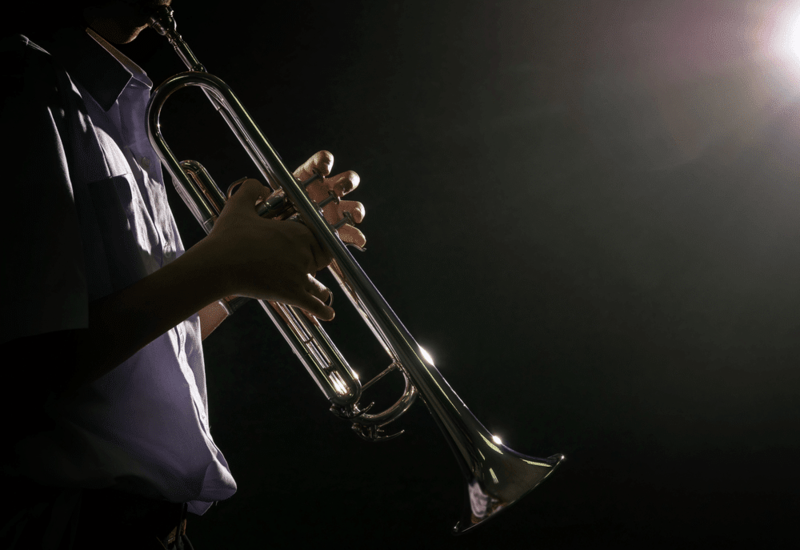 Before you decide to rent a new trumpet, the following tips might be useful for you. Just notice that it is quite expensive to purchase a new trumpet. Put your trumpet into its case when you just start to learn. Let’s start by saying the letter “M”; nevertheless, stop at the “mmm” part. Try to keep that lip position. Then, blow slowly through that lip position to create a buzzing sound. 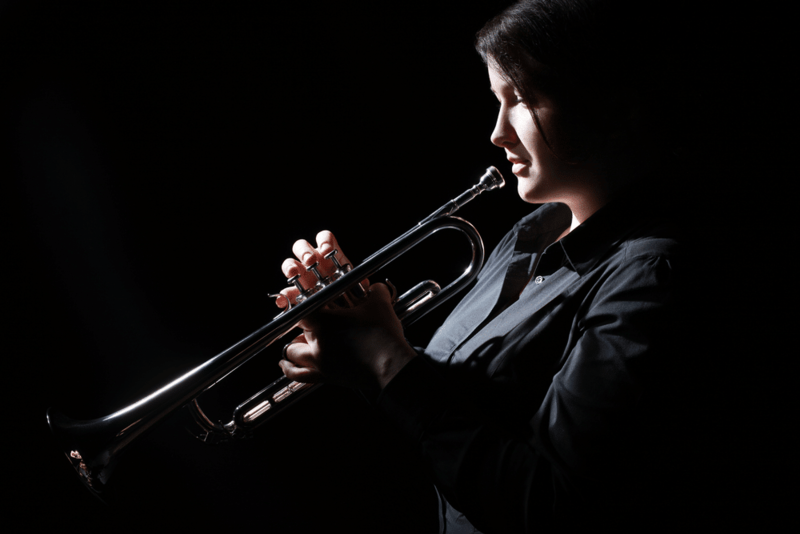 At first, you may feel the sound quite odd; however, this kind of lip position is known as the basic one that is often used to play the trumpet. In order to create “buzzing” down, I have some tips for you: Imagine that there is a tiny piece of paper on the tip of your own tongue. Because of the fact that nobody has the same teeth as well as lip shape, it have many embouchures that are developed. There is totally no wrong or right way, you will need to search for the way you feel good. However, there are still several common rules that everyone can apply. You have to keep your mouths corners always firm; thus, the air cannot escape outside. When you want to go up, it’s great to push your lips a little more midle instead of stretching them. Stretching might result in thinner lip tissue that leads the sound to be thinner. There are some popular embouchures such as (Farkas), you should try to keep your lips even or (Stevens) you need curling or rolling your lips in (so called Stevens) or out (Maggio) without overlapping. There are still other embouchures that you can find more detailed explanations by yourself. As you are able to make a fine sound from your trumpet, you should practice playing long tones to get used to that instrument. By doing this way, your facial muscles and your lips (embouchure, "chops") are familiar with the vibration as well as study how to make the expected note. Many trumpeters have recommended that it be a good idea to keep as much the upper lip as the lower lip in the trumpet’s mouthpiece. In fact, teeth, skull, and lips are totally different to everyone, so they have their own way to put their lips into the mouthpiece which is natural and comfortable for them. None of them are incorrect. Wet lips can easily slip on the mouthpiece, so they are permitted to modify to current dynamics as well as freely register. On the contrary, dry lips will not slide because they stick to the mouthpiece. It’s recommended to experiment the one that you feel better. Knowing how to properly breathe is considered as a crucial step that cannot be ignored while studying how to play a trumpet. Remember to take a deep, and full breath. Don’t move your shoulders up while breathing in; keep your body stay relax when inhaling instead of straining yourself. Pretend that the air you take is deep & down, which enables you to get rid of moving your shoulders up (this is often much easier when you breathe through your mouth). Don’t keep the air in, breathe in in tempo as well as blow instantly. It’s recommended not to put the bell towards the floor (it’s best to place your trumpet fairly downwards but just a little bit). While playing, your body must be relaxed and do not lock your knees. Stay your arms away from the body. In reality, a great physical condition may be beneficial for your posture and breathing issues as well. It’s a good idea to take a deep inhale as well as the power to blow while you are standing. On the other hand, if you must sit when playing, keep your back straight with you feet on the floor. On stage, it is important to remember that you cannot stand and play the trumpet. Another thing that cannot be forgotten is that your trumpet must point towards a microphone and adjust the height of the microphone suitable for your height. Thumb is between the first and the second valve casings. If not, you can put your thumb before the first valve casing. Ring-, middle- and index-fingers towards the valves. Thumb which is on the first valve slip (many trumpets are equipped with a hook for your thumb). Middle-, and index- fingers are put behind the third valve casing. Ring- finger which is put in the third valve slips. Little finger which is put under the third valve slips. Don’t hold the trumpet too tightly. Just use your left hand to hold the trumpet, which permits you to manipulate the valves effectively with the other hand. Let’s find how to get out a trumpet. First of all, you need to assemble all parts of your trumpet, then inhale through your mouth and predict the position of your lip, put the instrument up to your lips and make the buzz sound by vibrating your lips. Don’t hurriedly push any halves, however, feel the tightness of your lips first. After having successfully played your first note, you should try slightly tightening your lips and push down valves one and two. Remember that valves are numbered from one to three. The valve closest to you is valve number one, while valve number three is toward the bell of the horn. In addition, the note is suggested to be higher. You can be happy now as you have played two notes of the trumpet. At the first time, you may create sound like you are playing Donald Duch. However, don’t worry that you are making a mistake because in fact, the trumpet sounds like Donald Duck. You are suggested to use your smooth fingers in order to hold the valve straight down. However, don’t press them at an angle day by day as they will start jamming eventually. In addition, neither your nails nor your finger’s joints should touch the finger button. Remember to snap down the valves vigorously with a view to getting the clean and clear changes of note. Like other activities, practicing playing trumpet every day is better than playing on one or two times a week. It would be better if you play it more than 15 minutes daily, although we are suggested to practice at least one hour a day when you have enough patience. If you are just a beginner, 15 minutes will be plenty for you. Whenever you feel tired, let’s spend a few minutes resting. In nature, the more you play, the more you rest. Moreover, you should avoid exaggerated mouthpiece pressure, however, in some cases, it is demanded for some difficult tones. Nowadays, just by one click, you can easily find a variety of helpful learning materials. It is not important whether you are a beginner, a trumpet enthusiast or a professional on the grounds that YouTube, learntoplaymusic.com, etc. can offer many lessons suitable for your own levels. What’s more, if you are patient enough, you can purchase a music book to learn how to play trumpet from the start. As you know, the almost listeners are attracted by high notes and with trumpet, you can easily capture the attention and interest of them by playing the highest notes. However, in order to do that, you have to spend much time and put much effort to reach the higher level. First of all, you should build up your playing endurance through tongue and lip exercise. Then, you should try to increasingly widen your range via short spurts of playing across the scales. At last, try to keep your body straight so as to facilitate air to come into your mouthpiece. Like many busy people, daily activities take up a large amount of my time, in terms of work, family, Facebook, sleep and driving. Hence, I have no time for listening to music, although I used to spend much time doing it. More terribly, I cannot remember when I last listened to a Miles Davis’ Kind of Blue or Mahler Symphony from the beginning to the end without being distracted. If you are in the same situation, you will be advised to try spending time listening to music. Thanks to listening to great music, we can improve our musicianship through different styles of music. Moreover, if you are able to hear a live concert, I make sure that you will never forget why we do what we do. Be confident and believe in yourself, let’s take a chance to perform playing trumpet in front of many people. Don’t be scared of your level of progress, because only with 4-5 notes, you can make music. In fact, you have the essential tools to connect and deliver your emotion to your audience. One time, I have seen a band students who are just beginners make people first smile and then cry with the songs they play, although they have learned less than a year. It is not necessary to play at a symphony hall where there are a lot of people. Instead, you can play in a church, a local nursing home or find and participate in a community band. 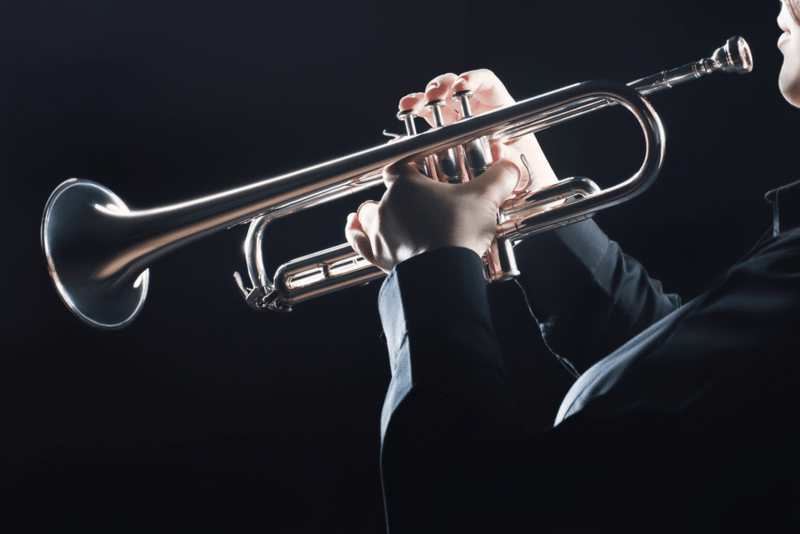 I make sure that when you connect with other people through playing trumpet, you will be inspired and encouraged to practice more and as a result, you’re playing trumpet ability will be enhanced thoroughly. Only a small number of people in the world are able to perform in front of people and show off your talent. Hence, be a special person and enjoy the thrill of playing a musical instrument like trumpet. they are well made to teach you the way to use your mouth. No one can play trumpet well from birth, but they have to practice a lot to gain the best result. After reading this guide, I hope that you will be encouraged to play this instrument with fewer difficulties. Remember that “Practice makes perfect”. The more you practice, the better you are! 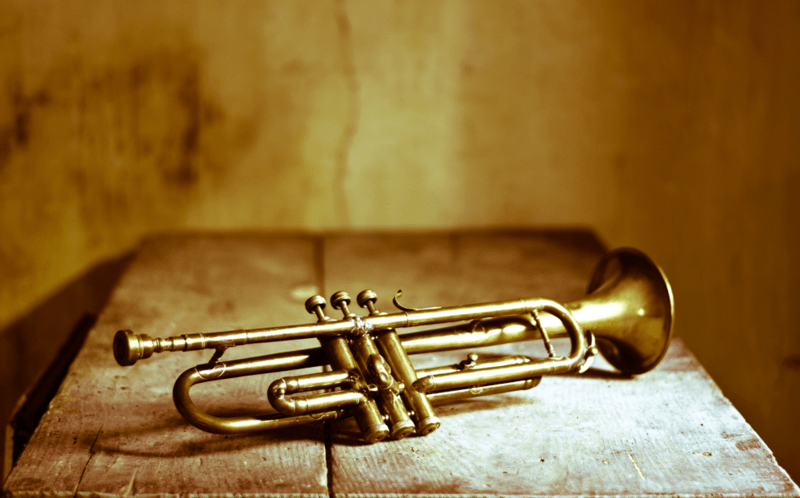 What Are Differences Between Trombone vs Trumpet in The Brass Family?